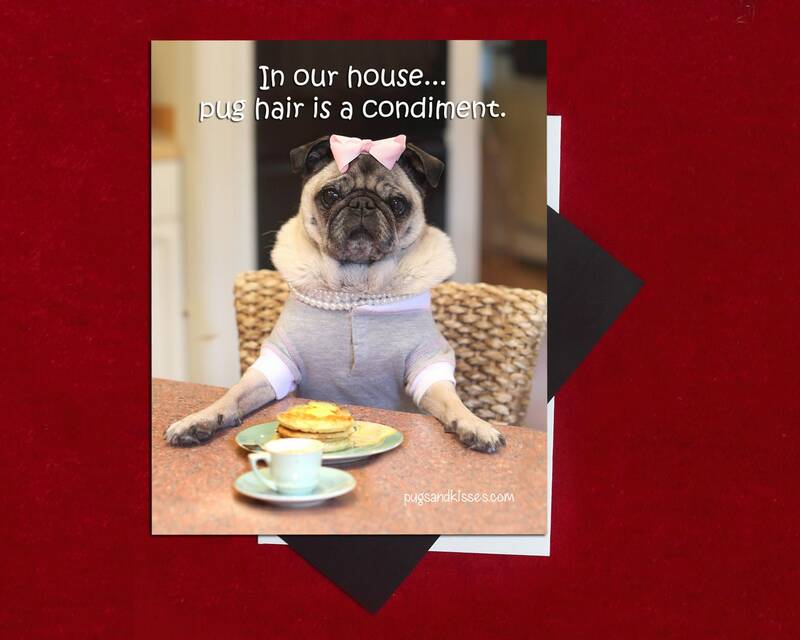 This item is one, "Pug Hair Is a Condiment"- 4x5 Pug magnet Pugs and Kisses. 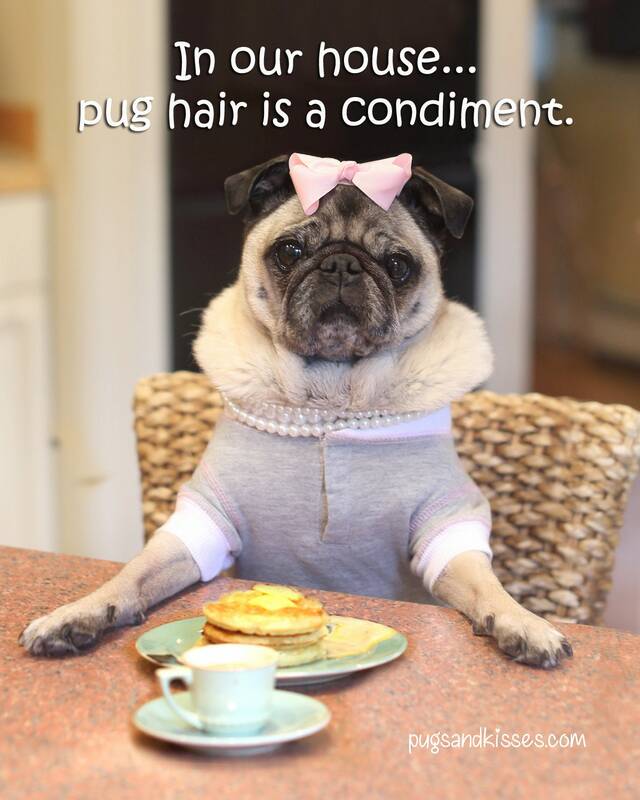 pug hair Is a condiment. LOL!!! Too bad it's SO darn true! We have to laugh so we don't cry! This magnet will help keep your perspective light and funny- EVEN when you vacuumed yesterday but there already seems to be a sea of dog hair on your rug... Yes, we know the feeling! This magnet makes the perfect little gift, too. What a simple way to spread genuine smiles! Your friends will be delighted!